It’s official. Enterprises across the US are investing more on ERP and collaboration than ever before. According to the latest report from Synergy Research Group, enterprise SaaS market grew 32% YoY, touching $13 billion in quarterly revenues in Q4 2016. The SaaS market is now more matured and more dominating than public cloud computing services. 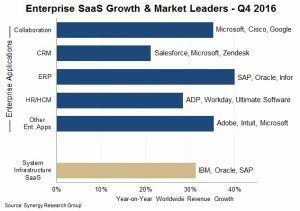 The report mentions Microsoft, Salesforce, SAP, Oracle, Adobe, ADP, and IBM, reflecting how big names have performed in 2016. Surprisingly, Synergy Research Group identifies Google and Oracle as the top SaaS vendors that registered highest growth rates. 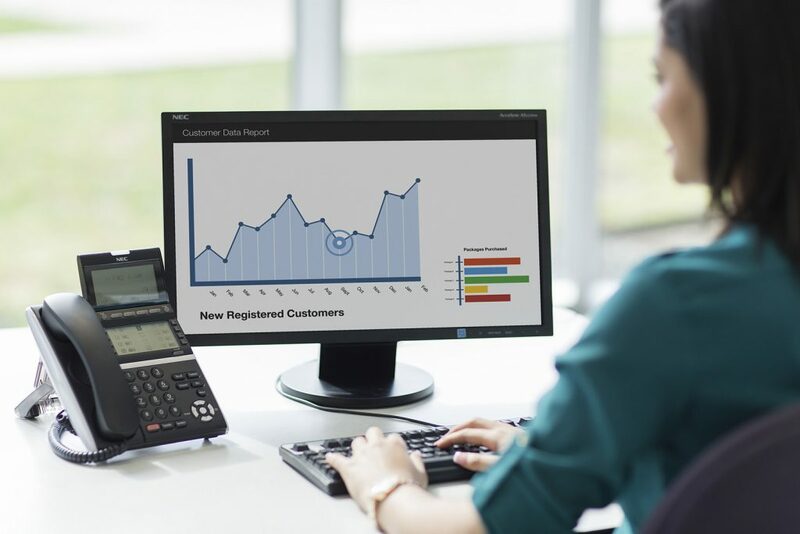 Synergy Research Group further added that SaaS market will grow at 2X in size and revenue by 2020, registering growth across all product segments and geographical areas. This particular report substantiates IDC’s projections made in its Worldwide Semiannual Public Cloud Services Spending Guide. It states that enterprises spending on public cloud infrastructure and services will reach $122.5 billion in 2017, registering 24.4% growth over 2016. 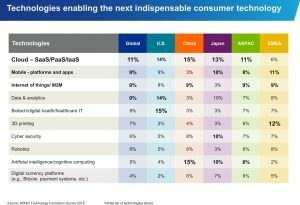 Between 2015-2020, cloud spending will grow 21.5% CAGR.